A Baby-Sitters Club web mini-series (six parts of about five minutes each– oh wait, the last one is a “Super Special” and is 10 minutes, hee!) set ten years after the books ended. My fondness for it is mostly sentimental, but the last 15 seconds did make me laugh out loud. 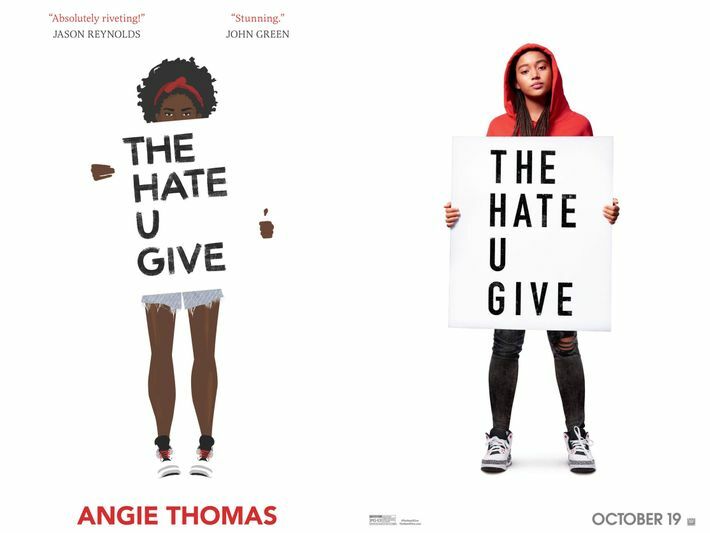 Interview with Debra Cartwright on her cover illustration for The Hate U Give and the colorism evident in the movie poster version. She had shed the grubby jumpsuit in exchange for a smart yellow jacket, a skirt that could only be described as a short petticoat, bright orange polka dot tights, a massive pair of boots trussed up in all manner of buckles and straps and a scattering of cloth flowers woven through her hair. The ensemble would’ve been clownish on anyone else, but somehow, Kizzy made it work. Unless guided otherwise, I will be picturing Claudia.